JKLF chief Yasin Malik was produced before an NIA court in New Delhi on Wednesday, in relation to a terror funding case, a day after he was shifted to Tihar Jail. 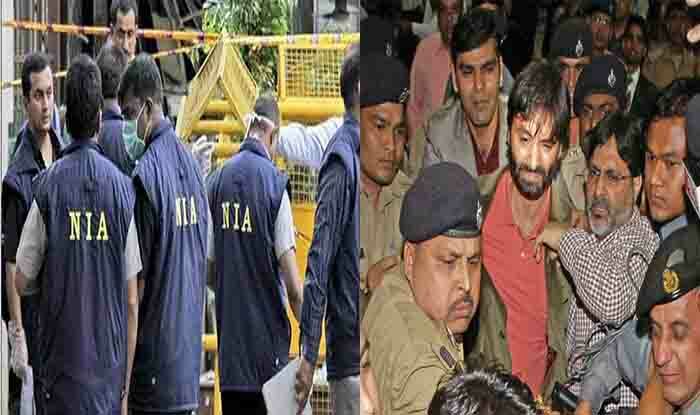 New Delhi: The National Investigation Agency (NIA) shifted Kashmir separatist leader Yasin Malik to Tihar Jail on Tuesday from Jammu and produced him before a court in connection to the case related to terror funding in Jammu and Kashmir. NIA brought Kashmiri separatist leader Yasin Malik to Delhi last evening as NIA Court had issued a production warrant against him. Meanwhile, the Jammu and Kashmir High Court has reserved its judgment on a plea of the CBI for re-opening three-decade-old cases in which Malik was an accused. The Jammu Kashmir Liberation Front (JKLF) chief is facing charges of kidnapping and murder for being allegedly involved in abducting Rubaiya Sayeed, daughter of the then Union Home Minister Mufti Mohammad Sayeed in 1989 and killing of four Indian Air Force personnel in the early part of 1990. The case also names Hafiz Saeed, the Pakistan-based chief of Jamaat-ud-Dawah, the front for the banned Lashkar-e-Taiba, as an accused. It names organisations such as Hurriyat Conference factions led by Syed Ali Shah Geelani and Mirwaiz Umar Farooq, the Hizbul Mujahideen and the Dukhtaran-e-Millat.